What has four ingredients, takes five minutes to make, is rich, warm, chocolatey, and even better than a cup of hot cocoa? 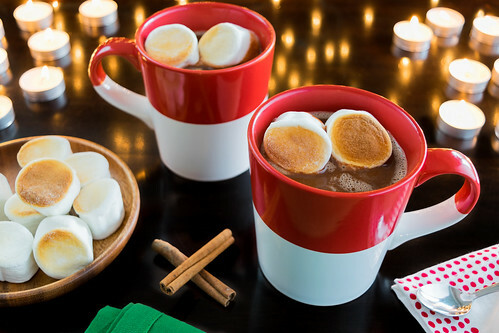 Allow us to introduce you to this glorious and comforting drink: hot Nutella with toasted marshmallows. Our original plan was to post a fancy layered holiday cake today, but as we learned this weekend, it still needs work before we can share it. We spent all of Sunday baking, then ended up throwing the entire failcake in the trash after taking just a few bites, so it will have to wait till next year! When deciding what to make instead, the thought of something quick and easy sounded most appealing after this long and disappointing cake fiasco. 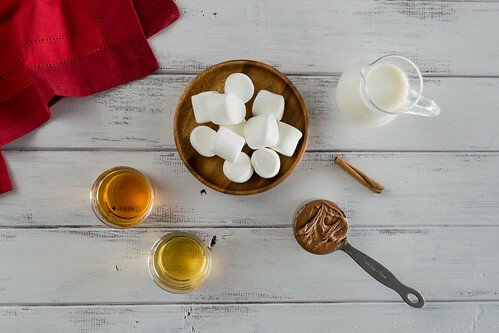 We were in the kitchen discussing ideas, and in a moment of inspiration, Adam suggested, “What if instead of hot chocolate… it was hot Nutella?” We knew immediately that this was the ideal treat to share with you this week: simple to make, sweet, indulgent, and perfect for the holidays. 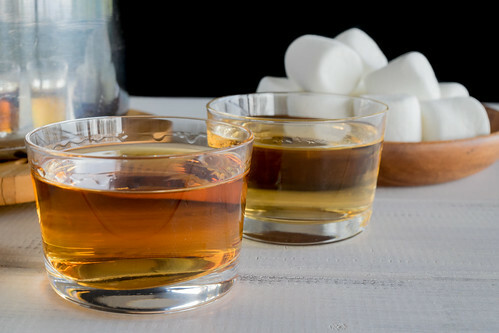 With quick and easy toasted marshmallows—it takes literally 30 seconds in the broiler—and an option to spike these hot drinks with a splash of liquor, they satisfy adults and kids alike! This could not be easier to make. You simply heat a small pan of milk on the stove, add a generous scoop of nutella and a cinnamon stick, wait for it to simmer, and that’s it! The title was the only thing we changed from this already-perfect recipe found on the kitchn. And we have two delicious options for those of you interested in adding a little kick to this warm holiday drink: Frangelico and bourbon. Frangelico is a hazelnut liqueur with a delicate nutty flavor and hints of vanilla and dark chocolate that pairs perfectly with the rich nutella. And bourbon, as we learned recently, goes well with chocolate of any kind. For both spirits, we recommend starting with two tablespoons per mug, and increasing to a quarter cup if you are feeling extra merry. Since the liquor is added to the glasses individually, each person can decide for themselves how much—if any—they would like. This creamy and chocolatey drink is delicious with or without the alcohol, so everyone in the family can enjoy it. While you can make this soothing drink with just milk and nutella, the cinnamon and marshmallows are simple and elegant touches. The cinnamon stick adds a subtly sweet and fragrant warmth to the chocolate. 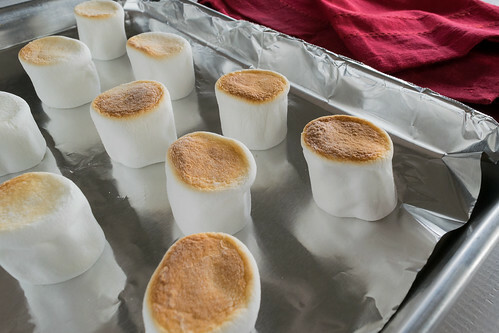 And you won’t believe how easy it is to make toasted marshmallows at home. You simply place them on a baking sheet, put them under a broiler, and in 30 seconds they caramelize and become a beautiful golden brown. 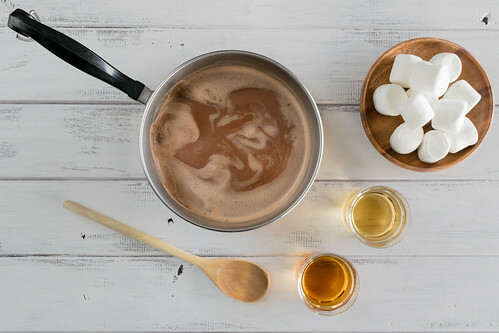 There are many wonderful homemade hot cocoa recipes out there, but they can be time-consuming and involve chopping chocolate by hand or using a food processor which also means more dishes to wash. We know how busy and hectic the holiday season can be and how valuable everyone’s time is, and what better way to relax and get cozy than by sipping a hot cup of hazelnut chocolate with perfectly-toasted marshmallows—and perhaps a little liquor for some extra warmth—that is ready and in your hands in just five minutes. Place the milk in a small saucepan over medium heat, and bring to a simmer. Add the Nutella and cinnamon stick, and whisk gently until the mixture is smooth and creamy. Bring back to a simmer, then remove from heat. If using liquor, pour 1 to 2 ounces of your desired liquor in each mug, then pour the hot Nutella over it, dividing it evenly between the two mugs. 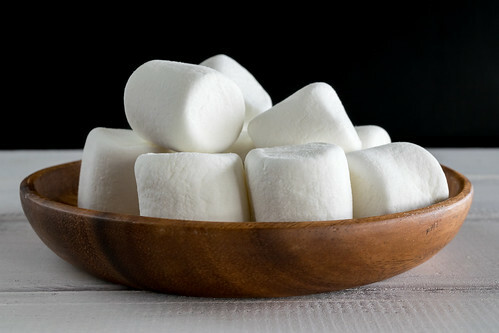 To toast the marshmallows, place a few (The amount is up to you!) 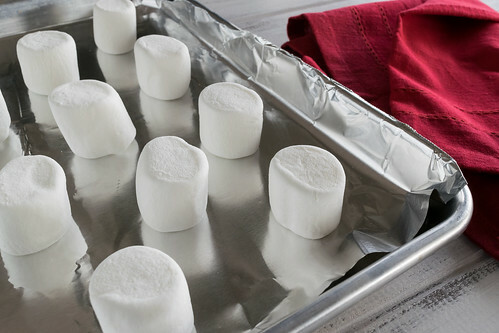 on a foil-lined baking sheet, and place them under a broiler for 30 to 45 seconds, until lightly browned on top. 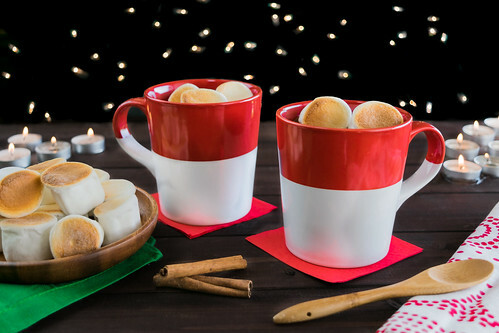 Place the toasted marshmallows in each mug, serve, and enjoy! What a crazy (read: fabulous) idea you’ve got guys! I’m definitely voting for an addition of that mentioned hazelnut liqueur…or perhaps even a peppermint one! Well done and – Happy holidays! Happy Holidays to you too, Ben! The hazelnut liqueur is delicious, and we love your idea of adding peppermint! We have some creme de menthe here, perhaps we will give that a try… you have inspired us!